We know that wheat harms the gut, which has been called "the second brain." So is it all that surprising to learn that it could have nerve and brain-damaging properties? A provocative new study confirms for the first time in a human trial that one of the adverse effects of wheat consumption includes a disruption of the levels of a hormone produced by the pituitary gland known as prolactin. A new study indicates that wheat consumption may contribute to a rare but serious liver disease in children. Wheat has been known for some time to contribute to the pathogenesis of diabetes, but the mechanism has not been extensively investigated. New research indicates that the gut flora may provide a 'missing link' in understanding how wheat is capable of causing such great harm. Despite popular opinion wheat consumption may not be beneficial to health. These two published articles make a strong argument against perceiving wheat intolerance as simply a matter of allergy/genetic intolerance in a minority subset of the human population, but rather as a species-specific intolerance, applicable to all. 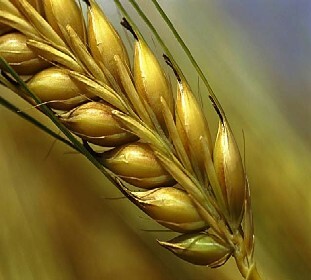 Part 2: Opening Pandora’s Bread Box: The Critical Role of Wheat Lectin in Human Disease. Below are peer-reviewed studies connecting wheat consumption with over 200 adverse health effects and 20 modes of toxicity.